Stop a nuclear Korean war! Iraqi people, band together and advance towards the final victory! Denounce the London Bombings Plotted by the Bush Empire! Fight now for an explosive worldwide struggle against the Iraq War! 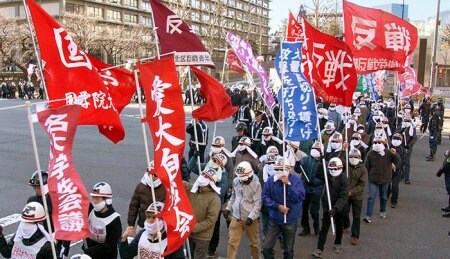 -Overseas Appeal: Stop Bush's War! 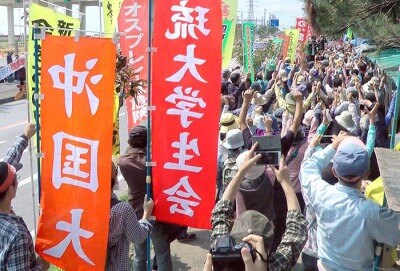 "Agitation to Denounce the NATO Bombing"
Stop the new base construction in Okinawa! 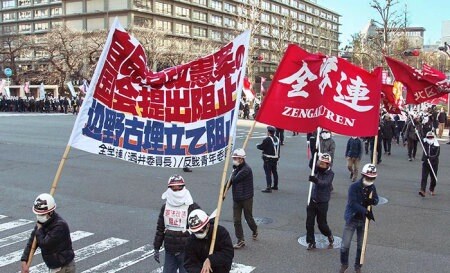 Down with the Abe government!